Actor Abdul Rashid Salim Salman Khan professionally known as Salman Khan was granted bail by a district and sessions court in Jodhpur on Saturday in the 1998 blackbuck poaching case in which he was sentenced to five years in jail on Thursday. After spending two nights in Jodhpur Central Jail, he left after completing all legal formalities and headed back to Mumbai on a chartered flight. He cannot leave the country without the court’s permission. Judge Ravindra Kumar Joshi after hearing the arguments of prosecution and defense lawyers, pronounced the order at around 3:00pm. The discussion lasted for about an hour. “Arguments were already over in the morning but Judge Joshi reserved the order for post lunch. He has to produce personal bail bond worth Rs50,000 and produce a Rs25000 surety from two persons each who shall guarantee that he will agree to all bail conditions,” said a defense counsel. Salman’s sisters, Alvira and Arpita, were present during the hearing. 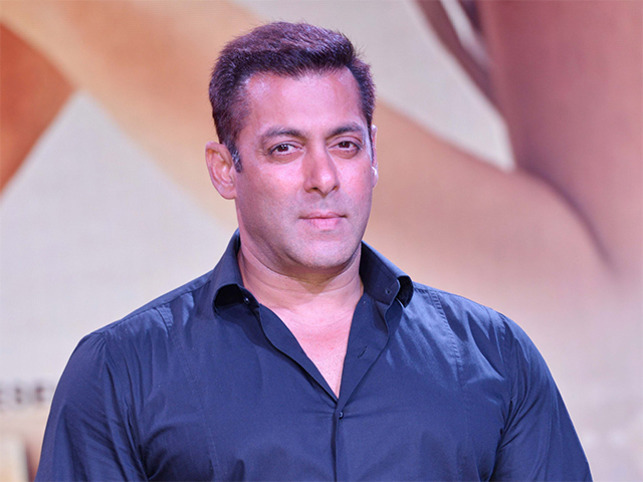 Salman was sentenced to a five-year term on Thursday for killing two blackbucks in 1998 in Kankani village, near Jodhpur in Rajasthan, while shooting for the Bollywood film, ‘Hum Saath Saath hai‘. Blackbucks are protected under the wildlife laws. His co-actors Saif Ali Khan, Tabu, Saif Ali Khan, Neelam Kothari and Sonal Bendre, accompanied him during the poaching session but were acquitted by the sessions court. This was the actor’s fourth stint in this prison. He has earlier spent a total of 18 days in jail in 1998, 2006 and 2007. Rampal Bhawad, state president of Bishnoi Tiger Force, said that they are disappointed with the decision of court to grant bail to Salman and said they planned to challenge this in high court. Salman Khan will also have to appear in the court on the 7th May 2017 exactly a month after this bail, said a defense counsel. Meanwhile, Salman’s fans cheered outside the court after hearing the verdict. Hundreds of them were also gathered in front of Salman’s residence ‘Galaxy’ apartment, located in Bandra, Mumbai. Some of them were holding big posters of their favourite film star with some even holding hand-written ones that read: “We support Salman Khan, We love Salman Khan”. Some shouted out loud “Salman bhai, Zindabad”. To keep the crowd under control, Mumbai Police has got the area covered with barricades. “This incident happened 20 years ago and the case is going on since then. If industry people have faith in him for the last 20 years, it will remain the same. He has steady fan-followers and gave the industry crores of business. His success says it all,” trade analyst Atul Mohan told IANS. Even some of the Bollywood celebrities like Mika Singh, Sonu Sood and Adnan Sami expressed their joy on Twitter post after bail was given to their “brother” Salman.